so that the neck is not twisted or pulled to the side. we have found that dogs are much happier with this style of head collar. 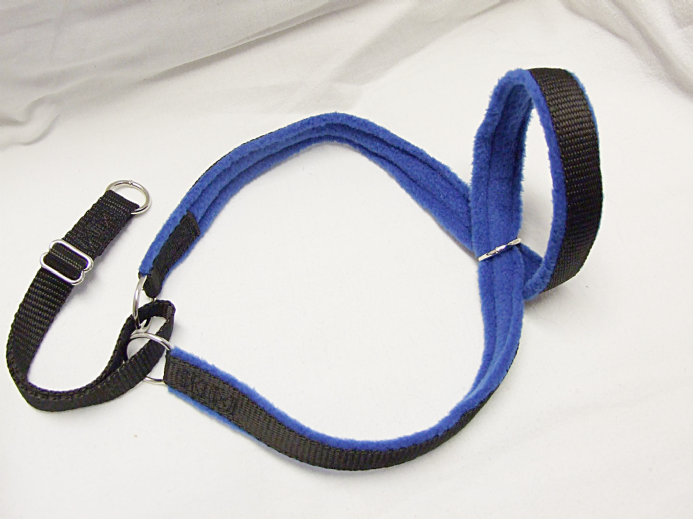 The figure 8 head collar will not ride up into your dogs eyes causing any discomfort. connect to your dogs collar. you will need either a soft tape measure or a piece of string. point (which should have formed a figure 8 around your dogs face). If you have used a piece of string put it against a tape measure to find your size.